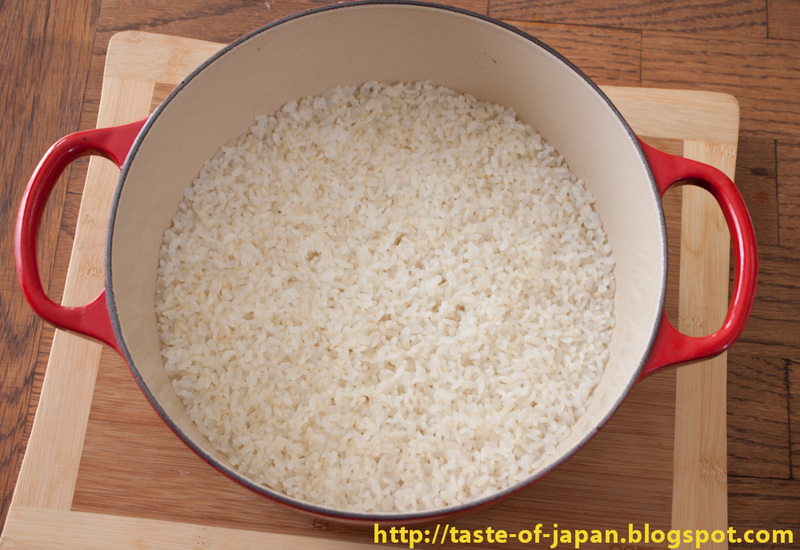 Rice is a good source of energy and the base for Japanese style bento. Especially rice balls with delicious fillings are loved by everyone! The best rice to use for rice balls is Short grain rice ,aka sushi rice. It holds shapes well. 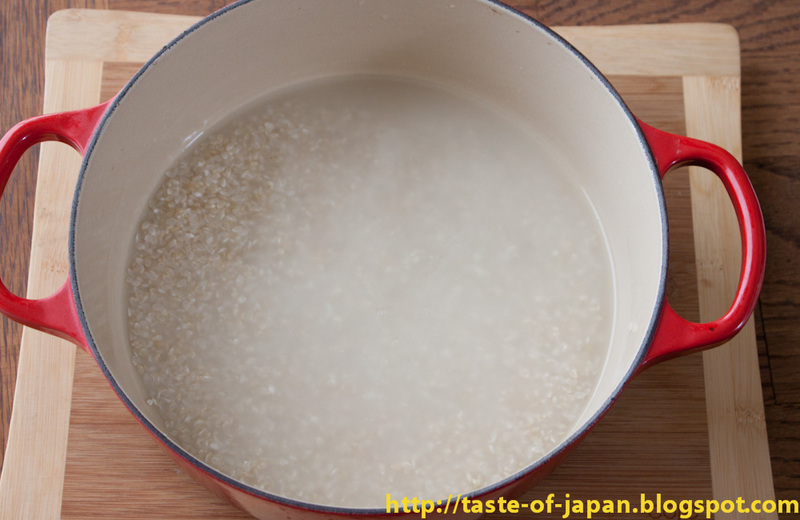 To make tasty rice balls, flavor rice by adding some salt to cooked rice. For fillings, you can put anything that goes well with rice. 1. 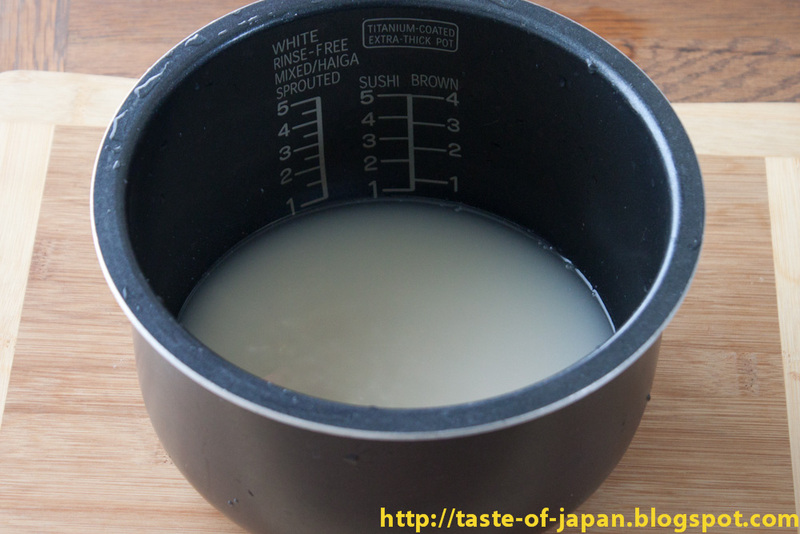 Measure rice by using the measuring cup that came with your rice cooker. Rinse rice gently and pour water. Repeat until water becomes less white. 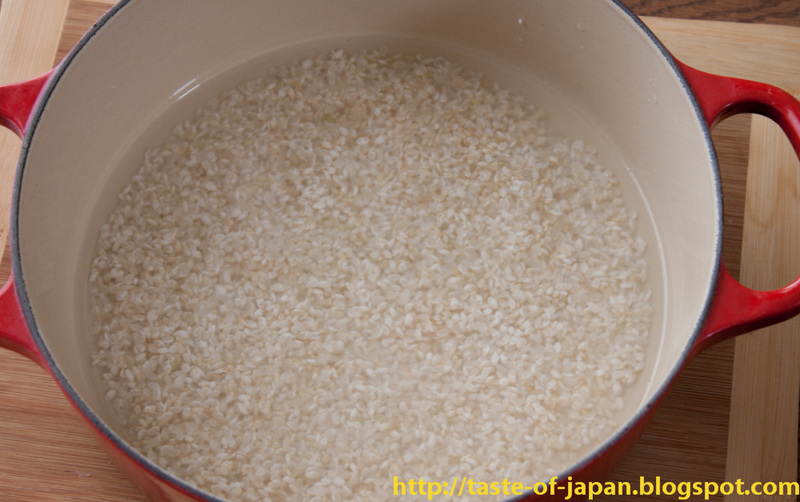 *For brown rice, wash like rubbing each grain. About 2 times. Close lid and soak rice for about 30 mins to 1 hour. *For brown rice, soak for at least 5 hours. If in summer, place it in a fridge. 3. 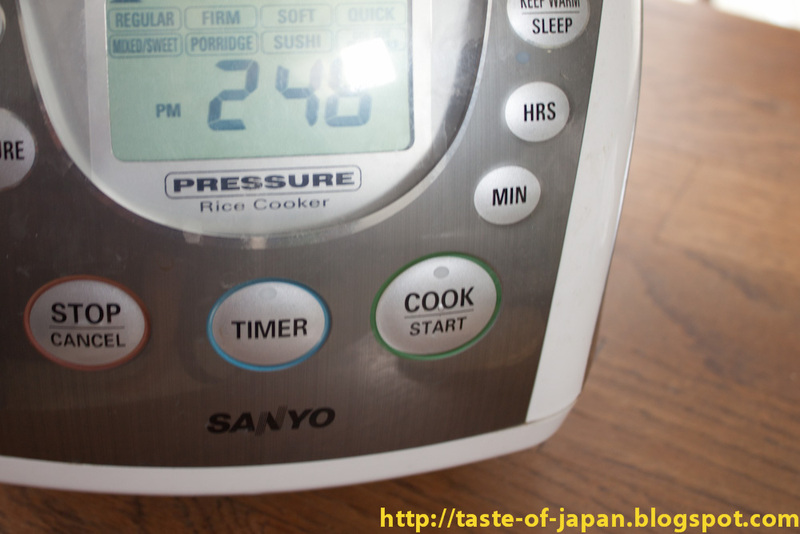 Press the start button and cook rice. 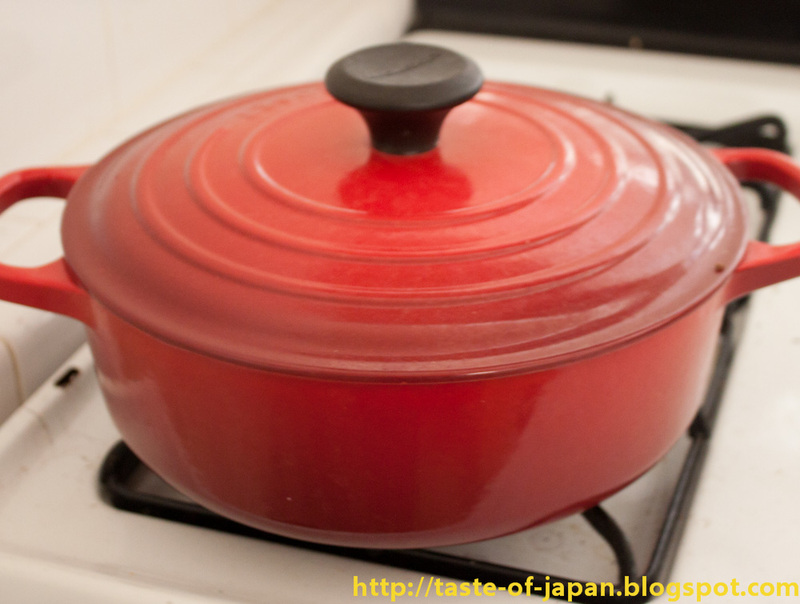 When cooked, keep the lid closed and let it sit for about 15mins to steam. Weight rice before soaking water. (Let's say it's 300g) Wash and soak rice with a plenty of water. 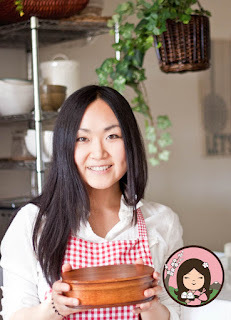 (No need to measure the soaking water) After soaking, drain the water and add the same weight of fresh water as the original rice. For this example, add 300 g water. 3. Place a lid and boil over medium-heat. You can slightly open the lid to check if it's boiling, but try not to open the lid as less as possible. Turn down to low-heat and cook for about 10mins for white rice, 30mins for brown rice. 4. Turn off the heat and keep the lids on for about 15 mins to steam. 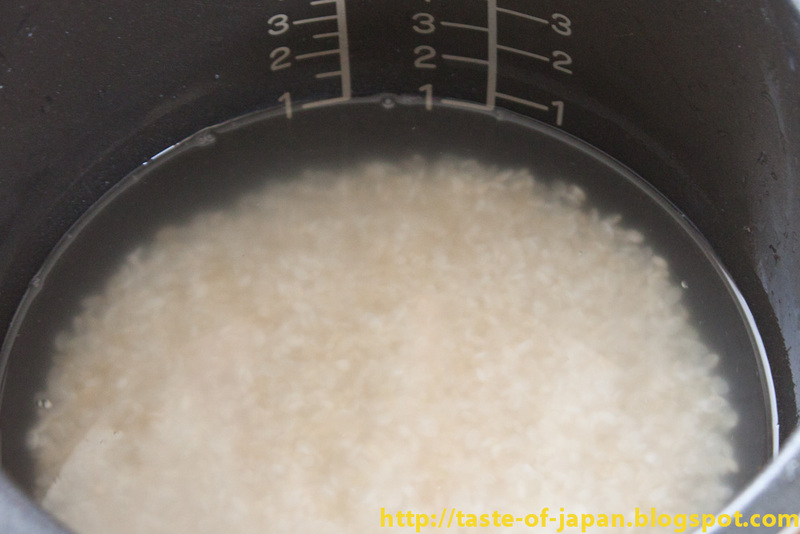 *if rice is too hard or too soft, adjust the water amount next time.